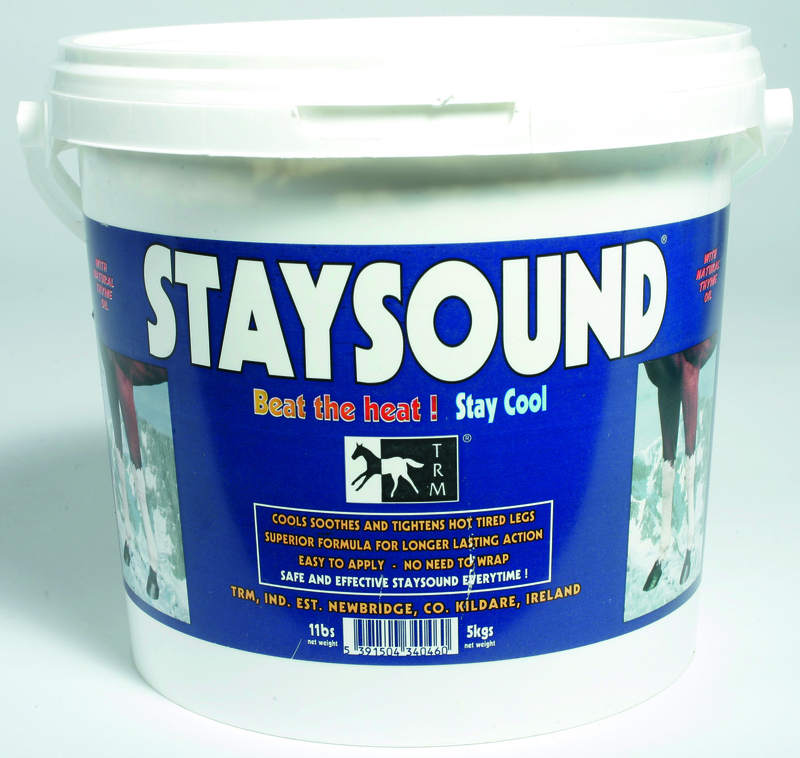 A naturally based cooling clay designed to soothe hot and tired legs, TRM Staysound uses a premium formula infused with beneficial Thyme Oil to provide lasting cooling and tightening action on overworked legs, speeding up and enhancing recovery. Easy to apply and requiring no wrapping, Staysound is a quick and simple way to provide up to 24 hours of well-earned relief. Montmorillonites, Aluminium Silicate, Sodium Borate, Glycerine, Natural Thyme Oil, Purified Water. There are currently no questions for TRM Staysound for Horses - be the first to ask one!